You Are Here: Home > Where is the Best Place to Buy Affordable SUVs in St. Augustine? Where is the Best Place to Buy Affordable SUVs in St. Augustine? Beaver Toyota St. Augustine is the one-stop shop for affordable, comfortable SUVs for you and your family. Nothing quite fits the bill like a used SUV when you need plenty of space and capability at a price that’s right for you. But in a segment filled with gaudy luxury models and truck-like heavy duty vehicles, it can be tricky to find a reliable SUV that doesn’t break the bank. Clean CARFAX. NONSmoker, Local Trade, MUST SEE!, Fresh Oil Change, Passed Dealership Inspection, Freshly Detailed, EXCELLENT CONDITION, WHAT ADEAL ,WHAT A PRICE ,IN ABSOLUTE GREAT SHAPE ,WE HERE WILL MAKE IT THE BEST SERVICED USED CAR IN AMERICA!!. Silver 2012 Toyota Venza LE AWD 2.7L I4 SMPI DOHC Awards: * 2012 KBB.com Best Resale Value Awards Silver 2012 Beaver Toyota Venza LE is a 4D Sport Utility AWD . This Florida SUV has a 2.7L I4 SMPI DOHC engine. Call right now and schedule a test drive. 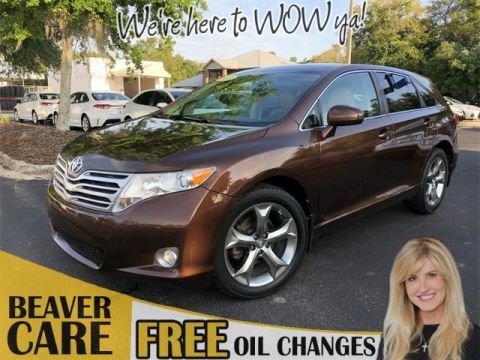 Ask for stock number R083527B, the Florida 2012 Beaver Toyota Venza . Shop Us Online at www.beavertoyotastaugustine.com. Serving Jacksonville, Palm Coast, Daytona, Gainesville and St Augustine. Beaver Toyota St Augustine on 2995 US Hwy 1 South in St Augustine. Clean CARFAX. PRISTINE CONDITION, SUNROOF / MOONROOF / ROOF, Leather, Bluetooth Handsfree, NO ACCIDENTS ON CARFAX REPORT, Rear View Camera, LEATHER, NONSmoker, Local Trade, MUST SEE!, Fresh Oil Change, Passed Dealership Inspection, Freshly Detailed, MINT CONDITION, EXCELLENT CONDITION, IN GREAT SHAPE ,ONLY AT BEAVER TOYOTA WE HAVE THE BEST USED CARS IN THE MARKET ,ONLY AT BEAVER TOYOTA WE CARE ABOUT OUR CUSTOMERS AND WE WANT TO SELL YOU THE BEST AND SAFEST USED CARS IN THE MARKET!!. Bronze 2010 Toyota Venza AWD 3.5L V6 SMPI DOHC Awards: * 2010 KBB.com Best Resale Value Awards Bronze 2010 Beaver Toyota Venza is a 4D Sport Utility AWD . This Florida SUV has a 3.5L V6 SMPI DOHC engine. Call right now and schedule a test drive. 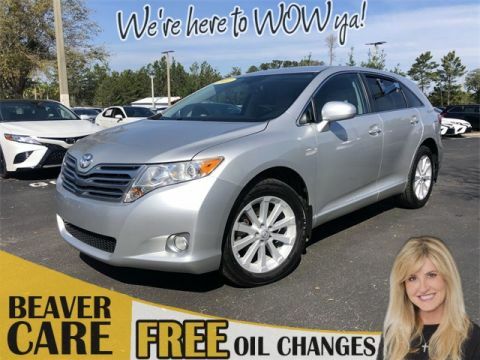 Ask for stock number D500233B, the Florida 2010 Beaver Toyota Venza . Shop Us Online at www.beavertoyotastaugustine.com. Serving Jacksonville, Palm Coast, Daytona, Gainesville and St Augustine. Beaver Toyota St Augustine on 2995 US Hwy 1 South in St Augustine. PRISTINE CONDITION, SUNROOF / MOONROOF / ROOF, Leather, Bluetooth Handsfree, LEATHER, NONSmoker, Local Trade, MUST SEE!, Fresh Oil Change, Passed Dealership Inspection, Freshly Detailed, MINT CONDITION, EXCELLENT CONDITION, PANORAMIC ROOF ,LEATHER ,IN SUPERB SHAPE ,ANOTHER SPECIALTY USED CAR FROM BEAVER TOYOTA,WE ARE HERE TO EMBRACE THIS WONDERFULL COMMUNITY AND MAKE SURE THAT OUR USED CARS ARE THE BEST SERVICED USED CARS IN THE MARKET!COME SEE US AND ENJOY THE BEST EXPERIENCE OF YOUR LIFE! !THE BEAVER FAMILY CARES!!. Bronze 2012 Cadillac SRX Premium FWD 3.6L V6 SIDI DOHC VVT Awards: * 2012 IIHS Top Safety Pick * 2012 KBB.com Brand Image Awards Bronze 2012 Beaver Cadillac SRX Premium is a 4D Sport Utility FWD . This Florida SUV has a 3.6L V6 SIDI DOHC VVT engine. Call right now and schedule a test drive. Ask for stock number S318265A, the Florida 2012 Beaver Cadillac SRX . Shop Us Online at www.beavertoyotastaugustine.com. Serving Jacksonville, Palm Coast, Daytona, Gainesville and St Augustine. Beaver Toyota St Augustine on 2995 US Hwy 1 South in St Augustine. CARFAX One-Owner. Clean CARFAX. NO ACCIDENTS ON CARFAX REPORT, One Owner, NONSmoker, Local Trade, MUST SEE!, Fresh Oil Change, Passed Dealership Inspection, Freshly Detailed, EXCELLENT CONDITION, 3rd seat GREAT PRICE ON THIS SUV AT BEAVER TOYOTA ,FULLY SERVICED TO BE PART OF THE BEST SERVICED USED CARS IN AMERICA!WE ARE PROUD TO LET OUR CUSTOMERS KNOW WE SERVICE OUR USED CARS LIKE NOONELSE IN THE MARKET AND WE MAKE SURE WE MAKE THEM THE SAFEST USED CARS IN THE MARKET FOR OUR CUSTOMERS AND THEIR FAMILIES!!. 20/26 City/Highway MPG Priced below KBB Fair Purchase Price! Silver 2013 Nissan Pathfinder SV FWD 3.5L V6 Awards: * 2013 KBB.com 10 Best Family Cars Silver 2013 Beaver Nissan Pathfinder SV is a 4D Sport Utility FWD . This Florida SUV has a 3.5L V6 engine. Call right now and schedule a test drive. 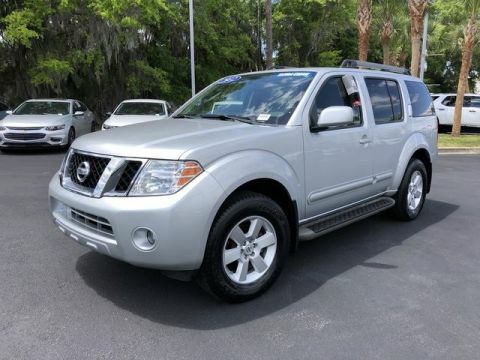 Ask for stock number D017225B, the Florida 2013 Beaver Nissan Pathfinder . Shop Us Online at www.beavertoyotastaugustine.com. Serving Jacksonville, Palm Coast, Daytona, Gainesville and St Augustine. Beaver Toyota St Augustine on 2995 US Hwy 1 South in St Augustine. CARFAX One-Owner. Clean CARFAX. 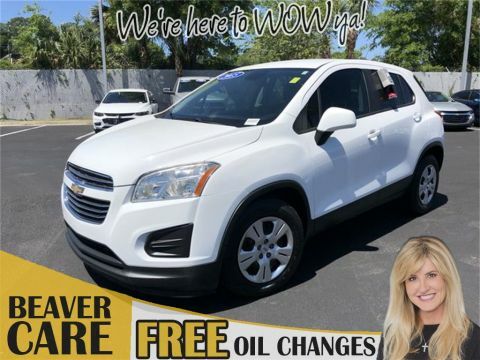 Fresh Oil Change, Passed Dealership Inspection, Freshly Detailed, EXCELLENT CONDITION, GREAT DEAL ,GREAT PRICE ON AN AFFORDABLE SUV ,HOW ABOUT A GREAT PAYMENT FOR YOU AND YOUR FAMILY ,ENJOY THE BEST USED CARS IN THE MARKET! 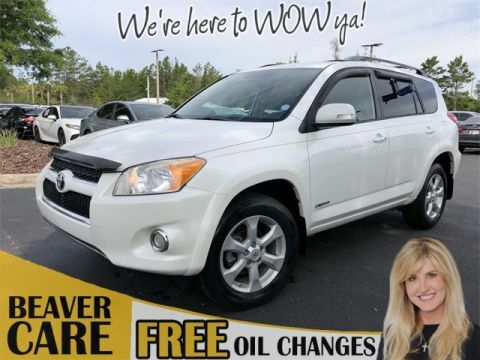 !WE HAVE THEM HERE AT BEAVER TOYOTA FOR YOU AND YOUR FAMILY! !, 2nd Row Sunscreen, Auto-Dimming Rear-View Mirror w/Compass, Backup Warning System, Carpet Floor Mats (5 Seat), Fog Lamps, Heated Front Seats, Leather Wrapped Steering Wheel & Gear Shift Knob, LX Convenience Package (5 Seat), Roof Rails, UVO Audio w/eServices & Backup Camera Display. 20/26 City/Highway MPG Priced below KBB Fair Purchase Price! 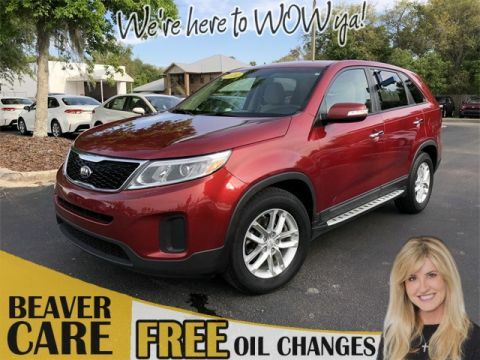 Remington Red Metallic 2014 Kia Sorento LX FWD 2.4L I4 DGI DOHC Dual CVVT Awards: * 2014 IIHS Top Safety Pick * 2014 KBB.com 10 Most Affordable 3-Row Vehicles * 2014 KBB.com 10 Best SUVs Under $25,000 * 2014 KBB.com Brand Image Awards Remington Red Metallic 2014 Beaver Kia Sorento LX is a 4D Sport Utility FWD . 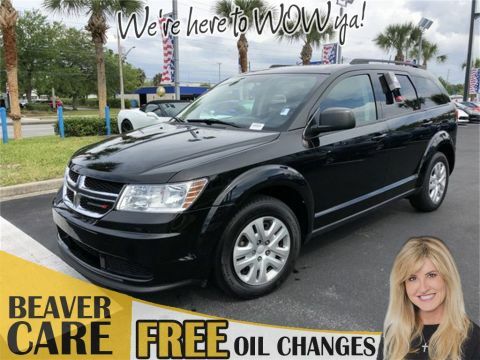 This Florida SUV has a 2.4L I4 DGI DOHC Dual CVVT engine. Call right now and schedule a test drive. Ask for stock number 023197A, the Florida 2014 Beaver Kia Sorento . Shop Us Online at www.beavertoyotastaugustine.com. Serving Jacksonville, Palm Coast, Daytona, Gainesville and St Augustine. Beaver Toyota St Augustine on 2995 US Hwy 1 South in St Augustine. CARFAX One-Owner. Clean CARFAX. PRISTINE CONDITION, SUNROOF / MOONROOF / ROOF, Leather, Bluetooth Handsfree, NO ACCIDENTS ON CARFAX REPORT, LEATHER, One Owner, NONSmoker, Local Trade, MUST SEE!, Fresh Oil Change, Passed Dealership Inspection, Freshly Detailed, MINT CONDITION, EXCELLENT CONDITION, ONE OF THOSE SPECIAL AND GOOD LOOKING USED CARS WE HAVE HERE AT BEAVER TOYOTA ,THE BEST SERVICED ,AND THE SAFEST CARS FOR YOU AND YOUR FAMILY ARE HERE! !FOR YOU TO ENJOY AND HAVE THE BEST USED CAR BUYING EXPERIENCE FOR LIFE!!. 28/32 City/Highway MPG Priced below KBB Fair Purchase Price! Black 2015 Nissan Juke SL FWD 1.6L I4 DOHC 16V Awards: * 2015 KBB.com 10 Most Fuel-Efficient SUVs Black 2015 Beaver Nissan Juke SL is a 4D Sport Utility FWD . This Florida SUV has a 1.6L I4 DOHC 16V engine. Call right now and schedule a test drive. Ask for stock number 5613592A, the Florida 2015 Beaver Nissan Juke . Shop Us Online at www.beavertoyotastaugustine.com. Serving Jacksonville, Palm Coast, Daytona, Gainesville and St Augustine. Beaver Toyota St Augustine on 2995 US Hwy 1 South in St Augustine. CARFAX One-Owner. Clean CARFAX. PRISTINE CONDITION, NO ACCIDENTS ON CARFAX REPORT, Rear View Camera, One Owner, NONSmoker, Local Trade, MUST SEE!, Fresh Oil Change, Passed Dealership Inspection, Freshly Detailed, EXCELLENT CONDITION, BEAVER TOYOTAS BEST USED CARS ARE HERE ,HANDPICKED USED CARS LIKE NO ONE ELSE IN THE MARKET!EVERY USED CAR FULLY SERVICED TO PERFECTION AND ALSO WE MAKE SURE OUR CARS ARE THE SAFEST USED CARS IN THE MARKET!!. 28/34 City/Highway MPG Summit White 2016 Buick Encore FWD ECOTEC 1.4L I4 SMPI DOHC Turbocharged VVT Awards: * 2016 IIHS Top Safety Pick * 2016 IIHS Top Safety Pick with optional front crash prevention * 2016 KBB.com 5-Year Cost to Own Awards * 2016 KBB.com Brand Image Awards Summit White 2016 Beaver Buick Encore is a 4D Sport Utility FWD . This Florida SUV has an ECOTEC 1.4L I4 SMPI DOHC Turbocharged VVT engine. Call right now and schedule a test drive. 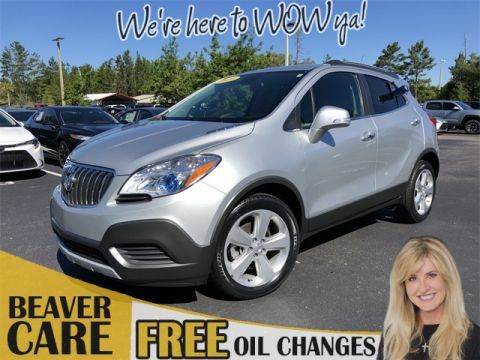 Ask for stock number 619930, the Florida 2016 Beaver Buick Encore . Shop Us Online at www.beavertoyotastaugustine.com. Serving Jacksonville, Palm Coast, Daytona, Gainesville and St Augustine. Beaver Toyota St Augustine on 2995 US Hwy 1 South in St Augustine. 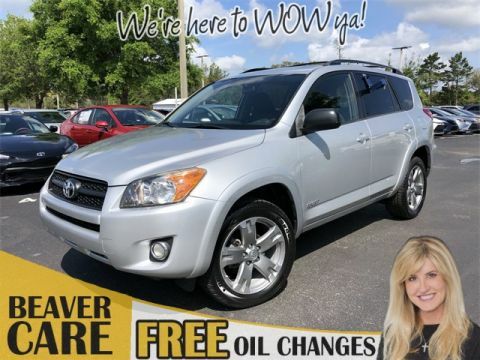 Fortunately, we understand affordability to the fullest– which is why we have a great selection of cost-effective used SUVs to compliment our lineup of Toyota SUVs. To accommodate the perfect balance of affordability and peace of mind – our selection of certified pre-owned and used models deliver all the dependability of an untouched SUV at a more accessible price. Whichever route you deem perfect for your family, you can trust Beaver Toyota St. Augustine to offer an incredible deal. We’re proud to offer the people of St. Augustine a wide inventory of used models at accessible prices. Our team of financial experts are ready to help you work out a lease or loan that fits you personally, no matter your credit history. And our highly-trained service staff will make sure that your SUV keeps running at the best of its abilities, long after you’ve left the lot.